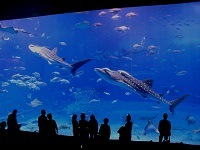 Enoshima Aquarium is a large aquarium found along the Enoshima beach. 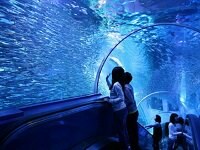 Here you can meet all kinds of sea creatures including penguins, turtles, seals, and more. 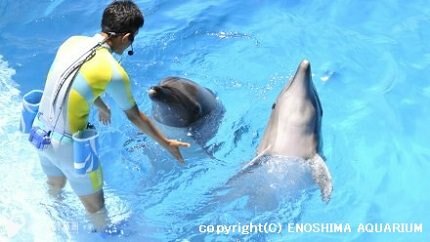 Many consider the exciting dolphin show to be the highlight of their trips to the aquarium. The dolphins perform in sync with their trainers as spectators watch the amazing show. 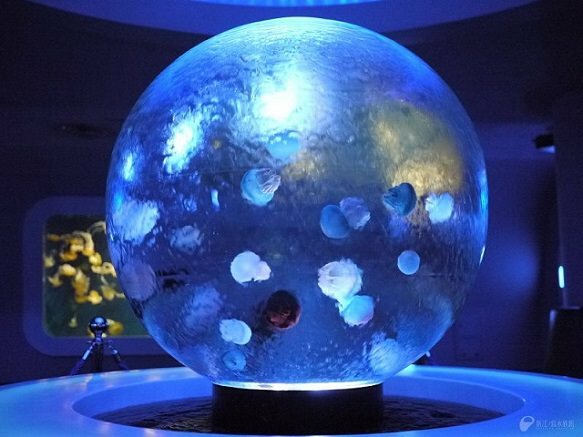 The jellyfish collection at Enoshima Aquarium is also quite impressive. 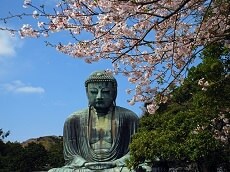 It has one of the world's extensive collections and will leave you with therapeutic effects. 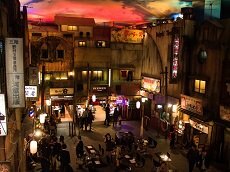 The aquarium also features shops where you can pick up your favorite sea animal plush or souvenirs. The cafes at the aquarium get quite creative too with their sea-themed snacks: sea turtle-shaped green tea melon bread, gradient soda replicating the beautiful ocean, and much more. Be sure to try the shirasu-don, a must if you're in Enoshima. Come meet the local sea creatures of Sagami Bay at Enoshima Aquarium.